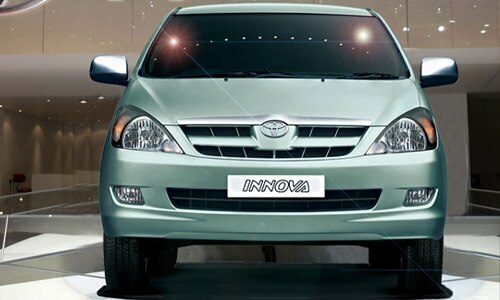 Launched in the year 2005, Toyota Innova has successfully carried its flag to new heights without any discrimination. Equipped with luxury features Innova had been successful in sustaining its demand and has fascinated all segments of customers because of the unique features offered by it. Merging the same features with latest updated features the makers of Toyota Innova, the renowned car manufacturing company Toyota Kirloskar Motor Pvt Ltd (TKM) today launched the limited edition of newly speculated model of New Toyota Innova in Indian car market. 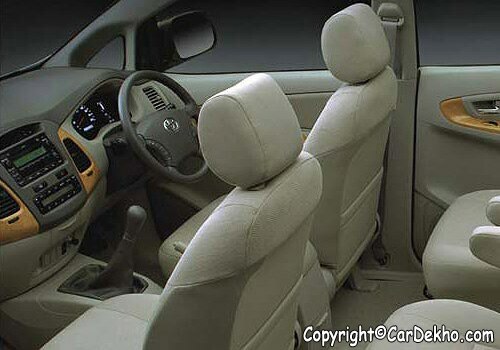 Also called as Toyota Innova Crysta adds extra elegant features in the luxurious features offered by existing Innova. The Toyota Innova Price for the limited edition of New Toyota Innova Crysta as announced by company is Rs. 13, 12, 570 Lakhs (Thirteen Lakhs Twelve Thousand Five Hundred Seventy Lakhs, this ex-showroom price in Delhi) and is available to all leading Innova dealers throughout the India. According to Mr. Sandeep Singh, Deputy Managing Director (Marketing) TKM, said, Innova has become the recognition of company in Indian car market since its launch. Launched in 2005 Toyota Innova was a long ahead of the then existing cars in Indian market and emerged as an unmatched MUV at that time preferred by customers as well as the private car segment running cars for commercial purpose. Mr. Singh further added that the limited edition of New Toyota Innova Crysta is designed to offer an extra ordinary feeling of owing the luxurious car with enhanced features. The New Toyota Innova is designed on the same platform as the existing Innova machinery it is embedded with VX Grade 2.5 litre diesel variant and comes in both Euro III and Euro IV standards. Coming towards the Toyota Innova Review it can be said that equipped with crysta features like smoked alloy wheels, gives sporty look to the New Toyota Innova, the body graphics gives unique design, apart from this the dual tone leather seat covers adds magnificent looks to Innova. The other features to be mentioned in Innova Review include rear roof spoiler giving a distinctive touch to the rear, dark wooden panel with necessary furnishing plays a major role in giving the perfect design to the New Toyota Innova.